Day 42: I picked up a Michael Graves drawer organizer, priced at $4 rather than the normal $10, at Dirt Cheap, which seems to have an unending supply of items from Target this winter. 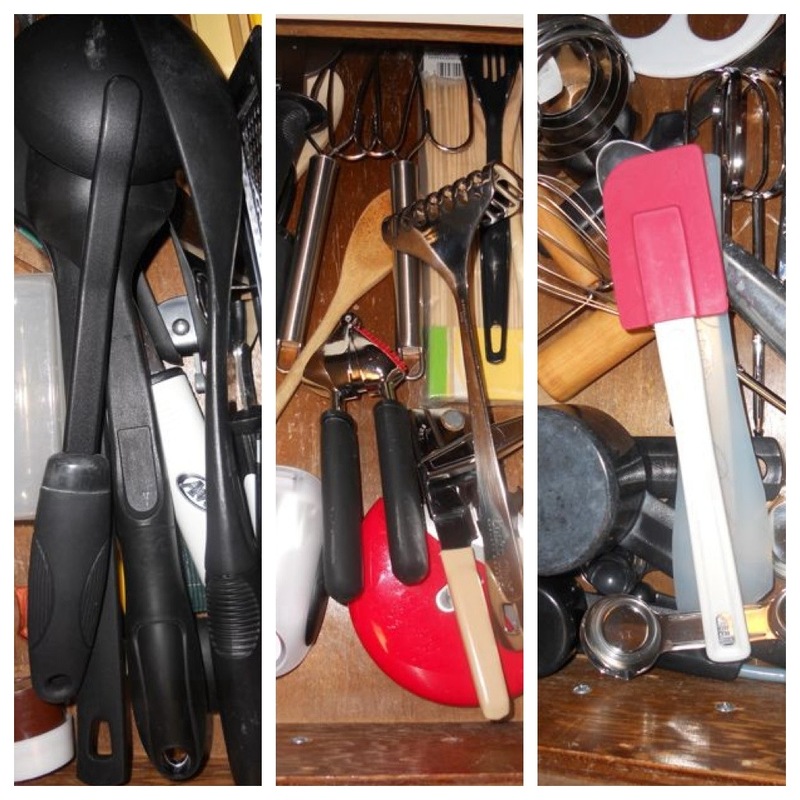 I had three small kitchen cabinet drawers filled with accessories and gadgets, all of which I use sometimes, but some of which I use ALL the time. And drawers are like handbags — the thing you need is always at the bottom under other things. 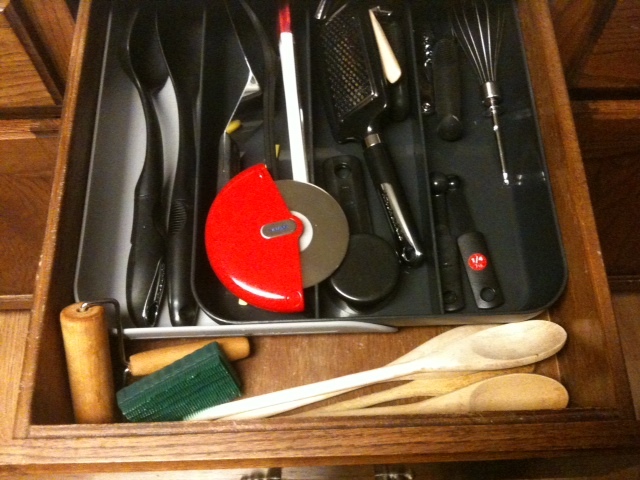 Now I have the stuff that I use all the time sorted into four little organized rows in a larger drawer. I moved the contents of the larger drawer (rolls of foil, plastic wrap, parchment paper, etc.) into two small drawers, and the third small drawer holds the things I use sometimes. The three small drawers before organization. Day 41: Filled all the liquid soap containers with liquid soap, then forgot to bring them upstairs for a whole 24 hours. But it’s the thought that counts, right? And your hands can’t be that dirty anyway. Day 43: Sort of organized some school files I brought with me on a CD from my last job. This is the sort of task that makes Dropbox pretty appealing.